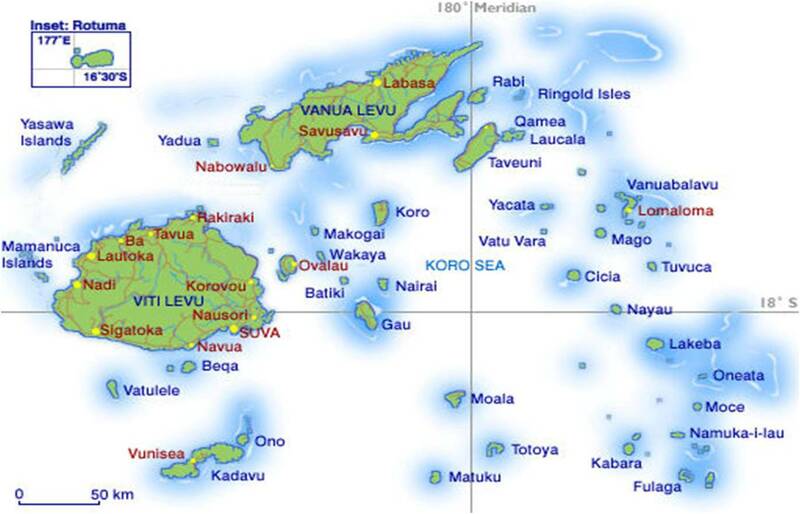 Sea Mercy Fiji: Cyclone Winston Disaster Relief and Recovery Updates: L/C Sea Mercy (Landing Craft) Arrives in the Lau Group! L/C Sea Mercy (Landing Craft) Arrives in the Lau Group! 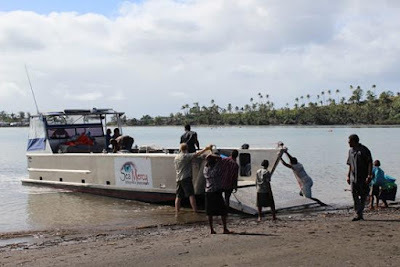 "Sea Mercy" (our dedicated disaster recovery Landing Craft) arrived in the Northern Lau Group of Fiji to begin a month long Emergency Water Generation program that will provide over 100,000+ liters of clean drinking water for the number of "at risk" remote island villages following Cyclone Winston. 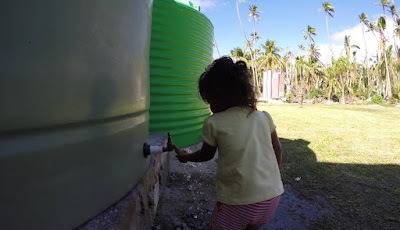 Although some water catchment (roofs, guttering and water storage tanks) have been rebuilt or repaired, because Fiji is currently into it's "dry season" (until October), there has been little or no rain to help replenish their drinking water. 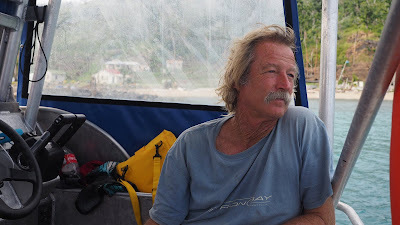 Captained by Geoff Deutschmann, L/C Sea Mercy was designed not only as a heavy aid transport, but was also specially designed to carry a 10,000 liter/day desalination unit (a Spectra LB2800) to meet the crucial water needs of the remote island villages following a natural disaster. 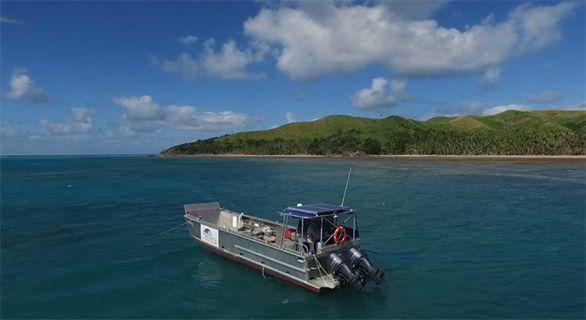 With it's shallow draft, yet 5 ton carrying capacity, it can slip through almost any reef and anchor in a remote lagoon to deliver aid. Carrying over 400 meters of water delivery hose (and hose floats) on-board, it can deliver water to almost any village water storage tank. The water produced is temporarily stored on the Landing Craft before being pumped to the waiting village. L/C Sea Mercy spent the months of June and July in the Lomaiviti Group generating water (50,000 liters) and transporting rebuilding materials and aid for the Makogai School project and the Naigani Village rebuilding project. 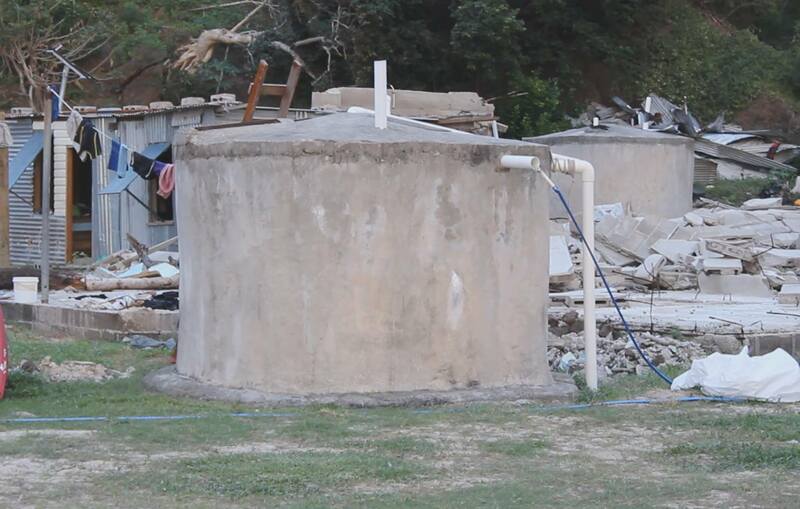 One of 8 concrete water tanks being refilled by Sea Mercy on the remote island of Batiki (Naigani Village). 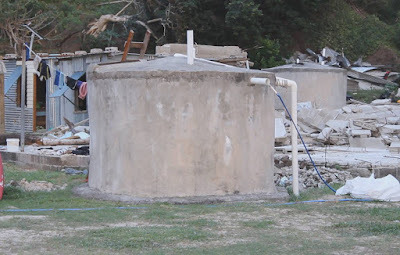 With the buildings damaged or destroyed (roofs and guttering), there is no was to collect drinking water for the village until they are rebuilt and the raining season returns in October. 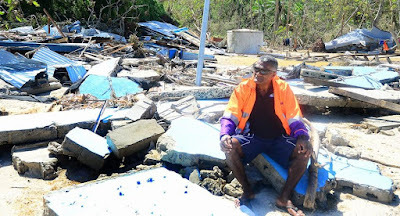 When the water was restored to the village, the people were able to return to help rebuild their village (they had relocated 3 kilometers away to Manuku village). Traveling almost 200 miles across open ocean to reach the Lau Group, it will refill the storage tanks there before heading to Taveuni to help offset the fresh water needs in the villages on the southern side of the island.